Cadaveric Musculoskeletal Interventional Course (Stream 1: Ultrasound) is organized by Orthopaedic Institute Ltd and will be held from May 10 - 11, 2019 at Robert Jones and Agnes Hunt Orthopaedic Hospital, Oswestry, England, United Kingdom. Target Audience: Consultant Radiologists, Radiology Registrars, Senior Radiographers, Orthopaedic Surgeons, Rheumatologists, General Practioners with musculoskeletal interest, Musculoskeletal Sonographers, Sports Physicians, Extended Scope Physiotherapists and Podiatrists. Course Description: The course will provide the participants with the skills to perform musculoskeletal intervention procedures on various imaging modalities including: ultrasound, fluoroscopy and CT guidance. With a high tutor to participant ratio, there will be plenty of opportunity for all participants to practise and fine tune their interventional skills. The participants will have a choice of two streams of training. In one stream, the participants will be able to practise ultrasound guided techniques and in the second stream, there will be opportunity to practise on fluoroscopic and CT guided procedures including peripheral and spinal injections Course objectives: • To understand the basic technique and principles of musculoskeletal intervention • To understand the indications, contra-indications, safety and evidence of various interventional procedures • To gain ample practice at various musculoskeletal interventional procedures on fresh frozen cadavers. Additional details will be posted as soon as they are available. MIS Spine Surgery Cadaver Lab Course is organized by Orthopaedic Institute Ltd and will be held from May 17 - 18, 2019 at The Robert Jones and Agnes Hunt Orthopaedic Hospital NHS Foundation Trust, Oswestry, England, United Kingdom. Target Audience: Newly appointed Spinal Consultants and Spinal Fellows. Course Description: This 1 ½ day course is intended to help those Spinal Surgeons and Fellows who are interested in improving their MIS surgery skills. It will benefit those who have had some exposure to placing MIS pedicle screws in the lumbar spine and wish to expand their practice. The course is limited to 12 people only. Friday afternoon will comprise lectures, with a dinner in the evening and Saturday will be in a cadaveric lab setting. 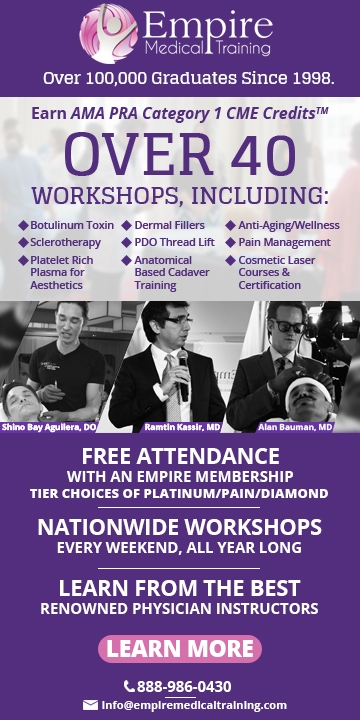 Topics to be covered include: • Advanced percutaneous pedicle screw placement technique • Thoracic spine constructs • Extension into pelvis • Long construct challenges • MIS TLIF BASIC AND/OR ADVANCED TECHNIQUES AS APPROPRIATE TO DELEGATE Additional details will be posted as soon as they are available. Advanced MRI and CT Imaging Workshop: Nerves, Metal and More is organized by Orthopaedic Institute Ltd and will be held from May 20 - 21, 2019 at Robert Jones and Agnes Hunt Orthopaedic Hospital, Oswestry, England, United Kingdom. Target Audience: Consultant radiologists (musculoskeletal and neuro), senior radiology registrars. Course Description: This intensive two day course will cover various aspects of neurography and imaging around implants including technical aspects and clinical situations. The lectures and tutorials will be given by world renowned faculty members in small groups in a friendly atmosphere to allow participant involvement. The aspiration of the course is to equip participants with knowledge of what is currently achievable with widely available software. There will also be lectures and tutorials on new developments in these areas. Additional details will be posted as soon as they are available. Spine Pain and Spinal Pain Treatments is organized by Orthopaedic Institute Ltd and will be held on May 20, 2019 at Robert Jones and Agnes Hunt Orthopaedic Hospital, Oswestry, England, United Kingdom. Target Audience: Consultants in radiology and orthopaedics, spinal surgery; physicians in pain medicine; anaesthetics; orthopaedic and radiology registrars; radiographers; physiotherapists and other allied health professional with an interest in spine related pain Course Objectives: This course will review the causes of spinal pain and the treatments of spinal pain. It will also focus on possible complications of these treatments. There will be particualr emphasis on audience participation and discussion. 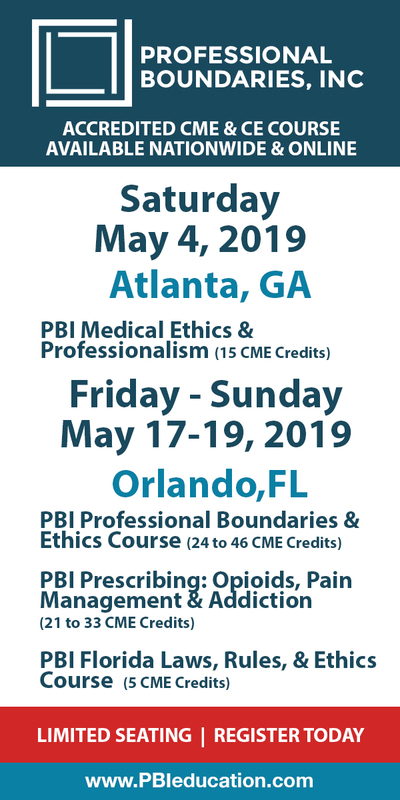 Course Topics: The talks are intended to discuss where spine elated pain arises from and the treatment approaches for pain and their rationale. Additional details will be posted as soon as they are available. Spine Pain And Imaging Of Orthopaedic Implants (2 Day Course) is organized by Orthopaedic Institute Ltd and will be held from May 20 - 21, 2019 at Robert Jones and Agnes Hunt Orthopaedic Hospital, Oswestry, England, United Kingdom. Spine Pain And Spinal Pain Treatments Monday 20th May 2019 Target Audience: Consultants in Radiology and Orthopaedics/Spinal Surgery; Physicians in Pain Medicine; Anaesthetists; Orthopaedic and Radiology Registrars; Radiographers Course Objectives: This course will review the causes of spinal pain and the treatments of spinal pain. It will also focus on possible complications of these treatments. There will be particular emphasis on audience participation and discussion. Imaging Of Orthopaedic Implants Tuesday 21st May 2019 Target Audience: Orthopaedic and Radiology Registrars; Radiographers; Consultants in Radiology and Orthopaedics Course Objectives: This course will review the imaging of orthopaedic implants. It will address when, why and how to image and will review specific implant and implantation related problems in the most commonly treated joints / body areas. The lectures will be given by radiologists and orthopaedic surgeons. Tutorials will consolidate the contents of the lectures by discussing specific cases in depth. During the entire course a particular emphasis will be on discussion of the complex field occupying the borderlands of radiology and orthopaedics. Additional details will be posted as soon as they are available. Imaging of Orthopaedic Implants Course is organized by Orthopaedic Institute Ltd and will be held on May 21, 2019 at Robert Jones and Agnes Hunt Orthopaedic Hospital, Oswestry, England, United Kingdom. Target Audience: Orthopaedic and Radiology Registrars; Radiographers; Consultants in Radiology and Orthopaedics; Allied Health Professions with an interest in orthopaedic implant imaging Course Objectives: This course will review the imaging of orthopaedic implants. It will address when, why and how to image and will review specific implant and implantation related problems in the most commonly treated joints / body areas. The lectures will be given by radiologists and orthopaedic surgeons. Tutorials will consolidate the contents of the lectures by discussing specific cases in depth. During the entire course a particular emphasis will be on discussion of the complex field occupying the borderlands of radiology and orthopaedics. Topics covered include: • Imaging techniques and their role in orthopaedic imaging in particular image optimisation especially for CT and MRI. • Nuclear Medicine and its role in orthopaedic imaging especially in infection. • Imaging strategies and findings for common implant pathologies especially infection and, sterile loosening and their differential diagnosis. • Implant technology has led to a bewildering number of materials and designs. The reasons for this will be explored and strengths and particularly weaknesses and typical complications will be demonstrated by an engineer and orthopaedic surgeon. • The typical problems and complications of orthopaedic implants in the most relevant areas will be reviewed by a team of an orthopaedic surgeon specialised in this area and a radiologist. • Implant related problems especially soft tissue problems such as bursitis, nerve injury and muscle and tendon problems. Additional details will be posted as soon as they are available. The Oswestry Orlau Gait Course is organized by Orthopaedic Institute Ltd and will be held from Jun 26 - 28, 2019 at Robert Jones and Agnes Hunt Orthopaedic Hospital, Oswestry, England, United Kingdom. Target Audience: Orthopaedic Consultants and Senior Trainees, Rehabilitation Doctors, Physiotherapists, Orthotists, Clinical Scientists and other Allied Healthcare Professionals with an interest in gait. Venue: Conference Centre, The Robert Jones and Agnes Hunt Orthopaedic Hospital NHS Foundation Trust Oswestry, Shropshire, SY10 7AG. Course Description: This course will provide a unique insight into why we walk the way we do. Learn about normal gait and how impairments can impact on this pattern of movement. It will provide a mixture of lectures, practical workshops and patient case studies in small groups to help delegates understand and interpret video, 2-D video vector and 3-D gait analysis. A multi-disciplinary approach will give participants an awareness of how gait analysis can guide our management of mobility problems to improve patient outcomes. Faculty Staff from ORLAU, Keele and Salford Universities who have significant experience in teaching gait both nationally and internationally. Additional details will be posted as soon as they are available. 12th Oswestry Shoulder and Elbow Course for Orthopaedic Trainees is organized by Orthopaedic Institute Ltd and will be held from Jul 03 - 04, 2019 at The Robert Jones and Agnes Hunt Orthopaedic Hospital NHS Foundation Trust, Oswestry, England, United Kingdom. Course Description: This is a comprehensive course designed for orthopaedic trainees and therapists/other healthcare professionals who have an interest in shoulder and elbow conditions. The course will be covering current concepts in shoulder and elbow physiotherapy and surgery. The format of the course is a combination of lectures with time allowed for questions and discussion; mpatient case presentations and a live surgery session. Suitable for physiotherapists and surgeons training ST1 - ST3. Topics to be covered include: • A live surgery session • Patient case based presentations • Radiological investigation of shoulder pain • Frozen shoulder diagnosis and management • Anatomy biomechanics of the elbow • Nerve injuries around the shoulder and elbow with patient case presentations • Proximal humeral fracture • Assessment and surgery of rotator cuff tears • Shoulder replacement surgery Additional details will be posted as soon as they are available. Spine Examination Course For FRCS Examination Preparation is organized by Orthopaedic Institute Ltd and will be held on Sep 17, 2019 at Robert Jones and Agnes Hunt Orthopaedic Hospital, Oswestry, England, United Kingdom. Venue: Conference Centre, Robert Jones and Agnes Hunt Orthopaedic Hospital, Oswestry Shropshire Target Audience: ST3-8 Trainees, Specialty Trainees This is a spinal examination/viva course for trainees preparing for their FRCS (Tr & Orth) examinations led by Consultant Spinal Surgeons Additional details will be posted as soon as they are available.